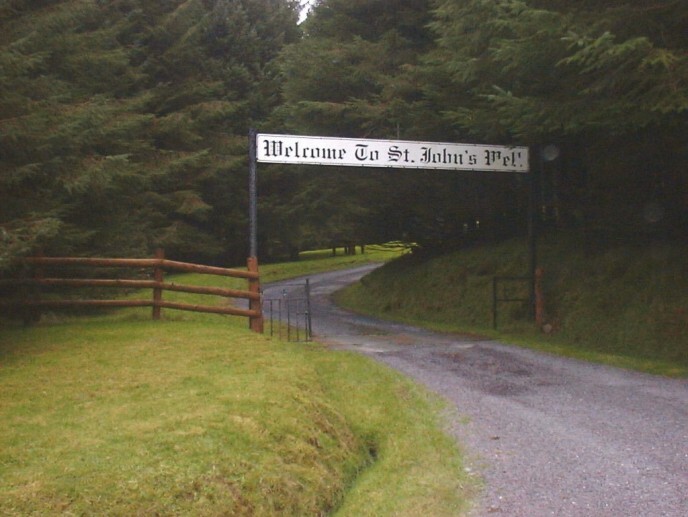 St John’s Well, otherwise known as Tobair na Faithni, can be found on the north slopes of Mushera, approximately four miles from Kilcorney and five miles from both Rylane and Macroom. 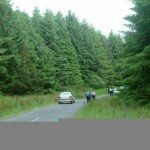 Dramatically situated as it is at the edge of a new forestry plantation, on a clear day it commands a very impressive view of the surrounding countryside, looking upwards are the formidable slopes of the mountain, while the valley below is splattered with patchwork fields, glowing rich with colour. Mushera mountain, highest of the Boggeragh range has a wild and rugged beauty all of its own. While during the Stone Age its was covered in rich vegetation, and forest abounded on its slopes, now it offers little to the naked eye but vast stretches of moorland and bog. Recent afforestation on its lower reaches compliments the rugged grandeur of the terrain, and the solitude is seldom disturbed by anything more strident than the sound of sheep grazing and the rare cry of the grouse. High on its slopes the visitor is amazed at how he suddenly feels close to the elements, he becomes aware of the continuity of seasons and the knowledge that little has really changed here since man first stood on its harsh and unyielding soil. Yet is is a beautiful place, steeped in history, and it is easy to imagine that Druids and Saints climbed its heights performing magic and miracles wile ordinary mortals looked on with interest. 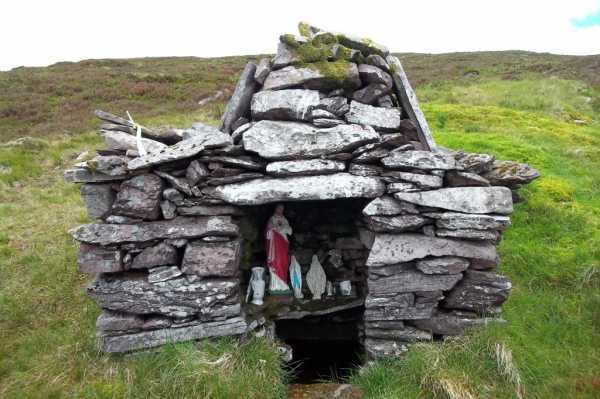 So it is not surprising to find three holy wells on Mushera mountain, all called St Johns’s Well and all dedicated to the same man. 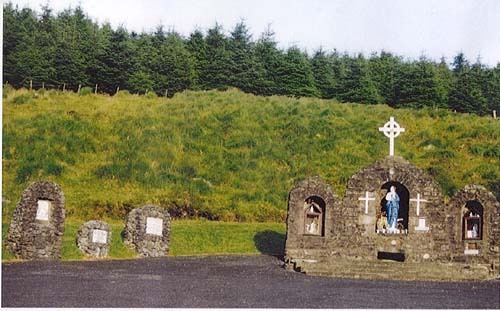 One is on top of the mountain in Aghina Clondrohid parish (see OSI map), a second on the Kilcorney side in Banteer parish and the third is on the Aubane side in Millstreet parish. 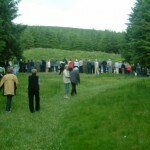 This well on the Aubane/Millstreet side is most popular. Like most holy wells, St John’s Well has a large amount of tradition and legend, which has been passed on from father to son. The well on top of Mushera has always been known as a well for cattle where herdowners prayed for the health and prosperity of their hers. 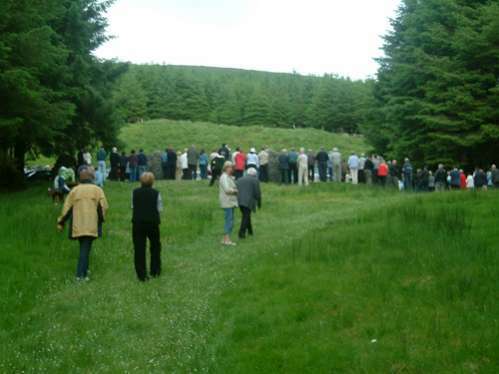 The well on the Kilcorney side has little tradition that we know of except that it moved from one side of the road to the other at some stage in its history. 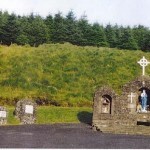 The well on the Millstreet side has been and still is reputed for its cure of warts. These wells like many others are almost certainly of pagan origin and were Christianised over time. Pre-Christian man paid homage to water and in many places it was held sacred to the gods. 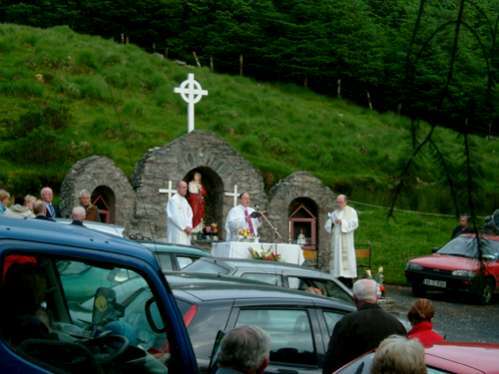 The early saints in an effort to exorcise any evil forces believed to be active in the water blessed numerous springs and wells throughout Ireland thus consecrating them to the Christian God. However, the pagan rituals never Quite disappeared, instead they were absorbed into Christian practices, and a still evident example of this can be seen in the widespread practice of bringing gifts of offerings of cups, coins, medals etc. to the holy wells. June 24th is of course Midsummers’s Day, the feast of the nativity of St. John the Baptist. 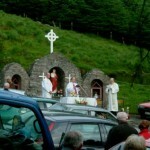 Although it may seem strange that a saint on the Boggeragh Mountains should share the same name and feast day as John the Baptist, cousin of Jesus, it is necessary to remember that the concept of a calender year held little relevance for the pagan or early Christian Irish, and that Midsummers’s Day itself daters back to an era long before Christianity. 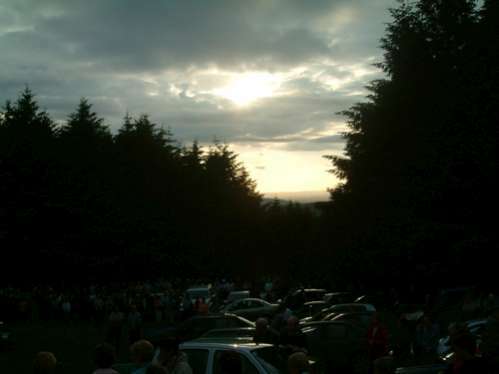 Midsummer Day, the summer solstice marks the point where the sun turns and retraces its path in the sky, starting the decline, and in doing so beginning the gradual shortening of daylight. The awareness of what the solstice heralded must have filled the hearts of pagan man with fear and terror, and he may have believed that by lighting fires to honour the sun he might prevent its decline of daylight, keeping darkness at bay. 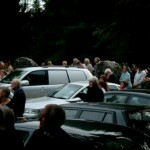 Midsummer held a symbolic importance for primitive man, and Christianity absorbed this mystical quality in it’s celebration of the day, the result is a merging of the two beliefs, the ancient pagan ritual of the festival of light, and the Christian celebration of the nativity of St John, both observed on Midsummer’s Day. Who was St John of Mushera? Unfortunately we have no authenticated records with any definitive reference to his life. 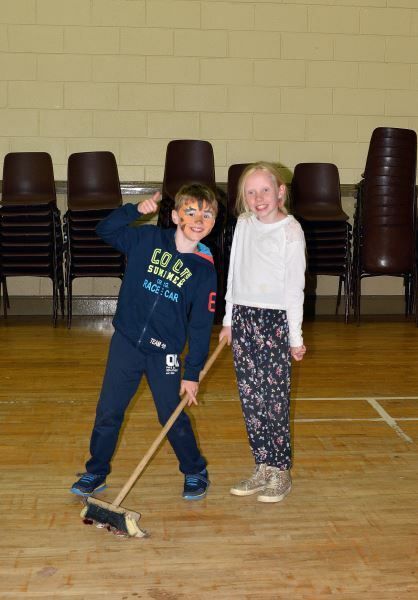 Yet legend has undoubtedly placed him in the Muskerry hills and given him three sisters, also Saints, who themselves were honoured at quarterly periods associated with feasts of the pagan Irish year. The three sisters known as Lasair, Inghean, Ingean Bhuide and Latiaran appear to have been imbued by tradition with qualities previously attributed to pre-Christian godesses. 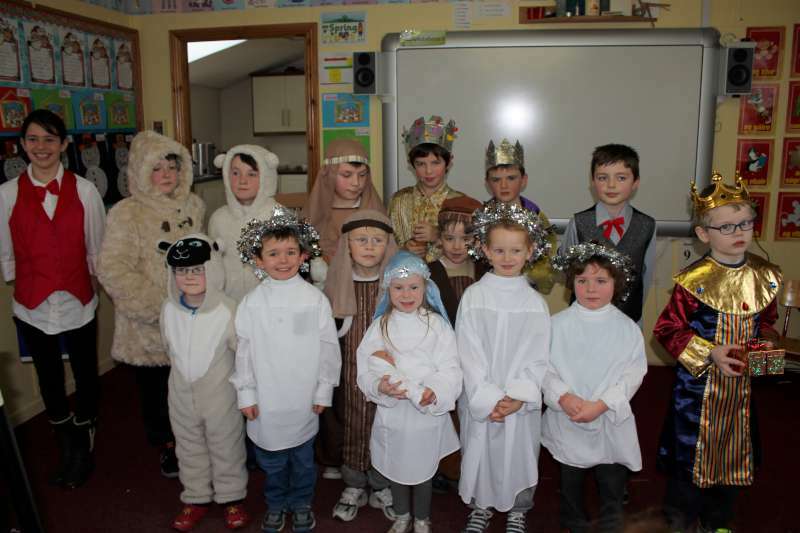 The seasonal symbolism of their feast days, early Spring, May6th and July 22nd, and that of their brother John on June 24th, would appear to lend credence to the belief that they were seen as successors to the ancient Celtic deities of the Druids. Another brother ST Berihert is also believed to have belonged to this family, he settled in Tyllylease where a monastery was located in a defeated Druidic stronghold, and where many monks from England are believed to have settled. Cullen, of which Latiaran is patron saint, is understood to have been the site of a nunnery. Lying sixteen miles to the south-west of Tullylease, Cullen may have been used as a centre point from which early missionaries set forth. This theory may explain in some part the relationship between John, Berihert and the sisters. These holy women may simply have been early nuns given the title of sister and this title may well have been taken literally by their early Irish converts who would then have understood the sister-brother relationship as a family one. It is interesting to note that both St Berihert and St John are said to have lived with their sisters at Cullen before setting out on their journeys, St Berihert to Tullylease, St John to Mushera. 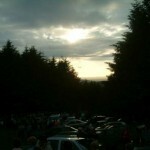 June 24th is the feast day of St John and down through the ages it has been a big occasion on the mountainside. Up to about 1940, St John’s Day had a pattern as will. 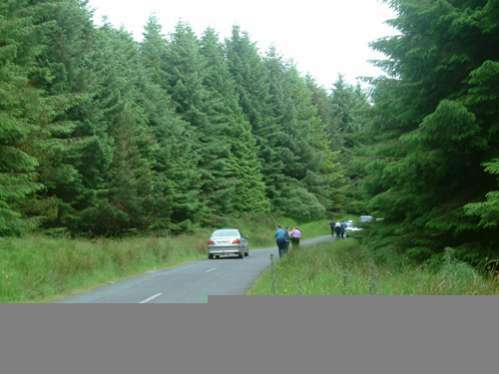 The pattern consisted of tents set up abut a mile and a half from the well on the Macroom side, in the townland of Moulnahourna. 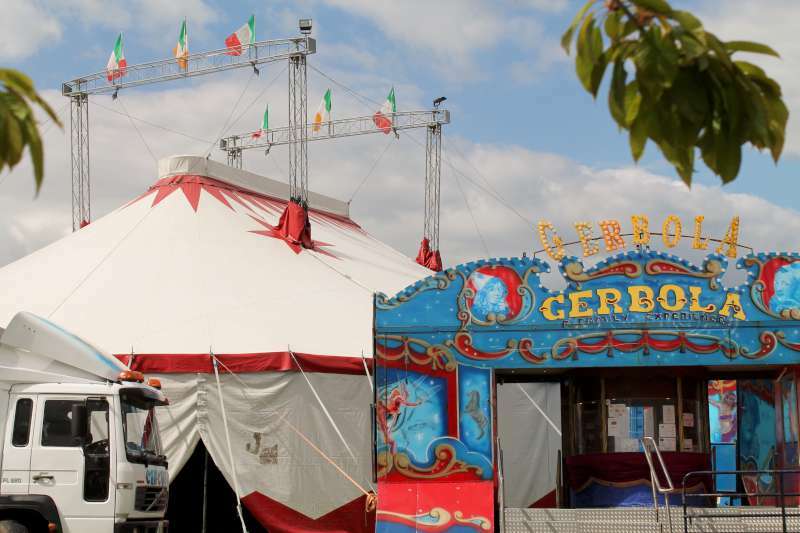 There were sweet and cake stalls, lemonade, cigarettes and porter tents, and of course the indefatigable three-card-trick men. 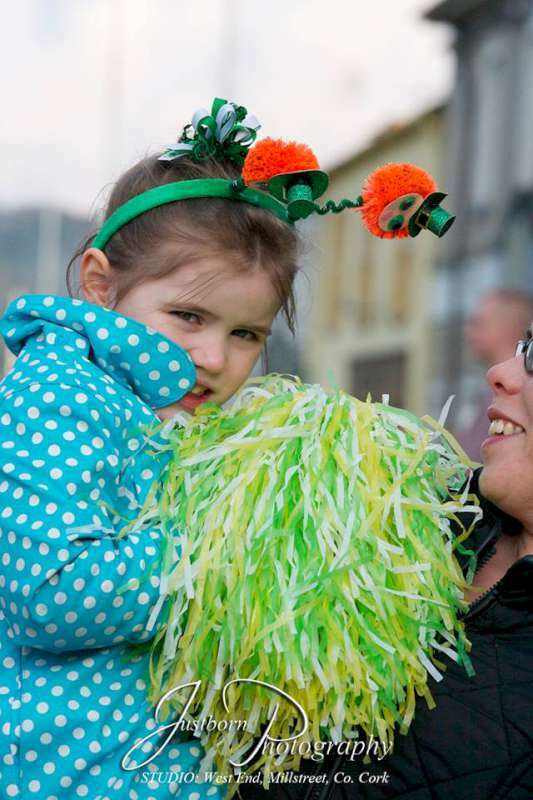 Occasions for celebration at that time were few and far between, Christmas, St John’s Day and March fair which lasted three days in Millstreet. Due to this and the presence of the porter, these occasions rarely ended without a fight, these may have been faction fights. 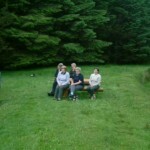 Two sisters from Millstreet, Han and Judy Murphy sat on either side of the Well “selling the water”. One of them would fill a saucepan with water from the Well and received payment for it. Pilgrims wisited the Well in the morning. 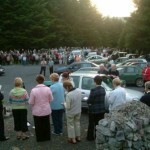 It was normal practice from Ballinagree and Rylane areas to visit the Well on top of the mountain in their own parish. 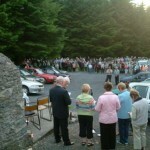 Most other pilgrims visited the Well on the Millstreet side as is the case today. After doing the “round” they continued on to the pattern to enjoy the remainder of the day. An old character from Ballinagree, Bill O’Dea always turned up to entertain the crowd with his songs. Another man from Bawnmore, nicknamed St Joseph because of his long white beard also sang to the crowds. His real name was Lucey. Over the years the crowds got smaller at the pattern until eventually it was no longer held. The dancehalls took over at that time, but local people still come to pay their “rounds” as usual. In 1954, a man who is long since dead, Michael Buckley of Aubane bought a picture of St. John and placed it on the grotto early on St John’s Day. 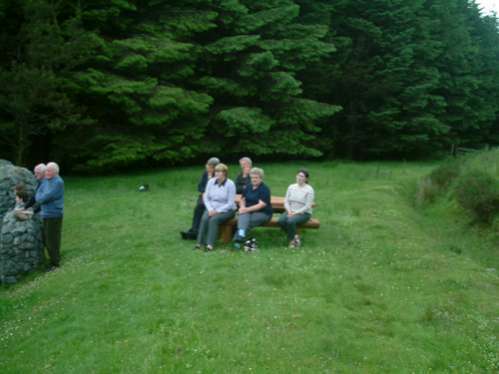 The late Sonny Buckley, Tullig, Millstreet who called later in the day to pay his round decided to make a timber altar to protect the picture. Even this did not seem to be enough to provide permanent protection for such a delicate object in such a windswept site. 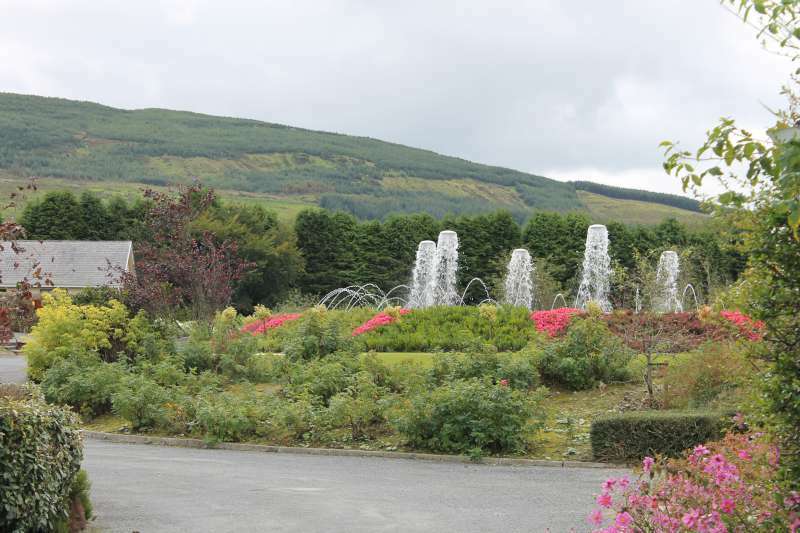 A committee mainly of people from the Aubane area was formed and a few pounds put together for the purpose of building the centre grotto, completely by voluntary labour. The altar containing the picture of St John was placed inside this stone grotto and the picture lasted until quite recently. In 1958, a statue of St John was purchased and placed in the centre grotto. Again with voluntary labour two side grottos were erected, one contained the altar with the original picture and the other an altar with a statue of the Infant of Prague. 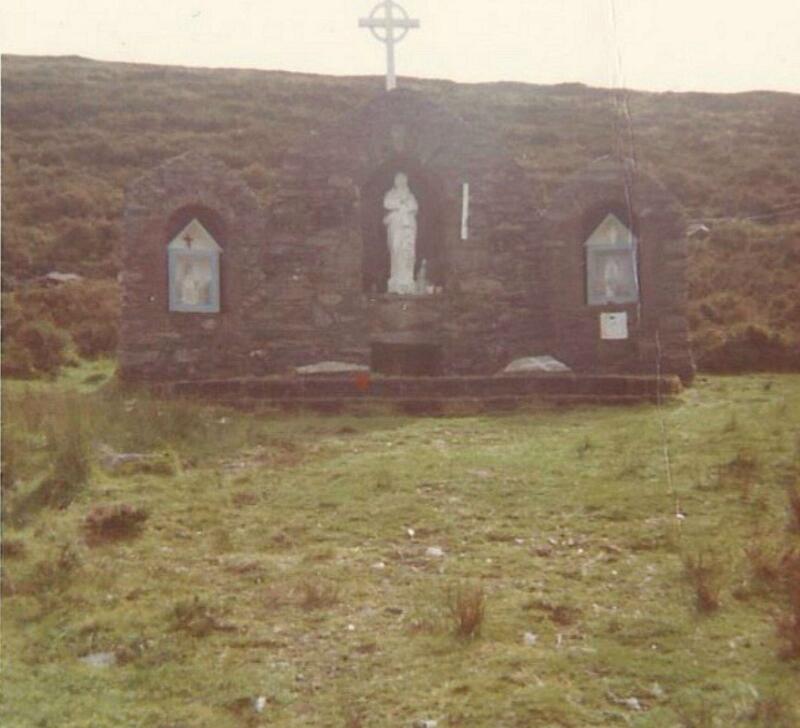 The statue of St John was blessed in 1958 by Canon Costello of Millstreet. 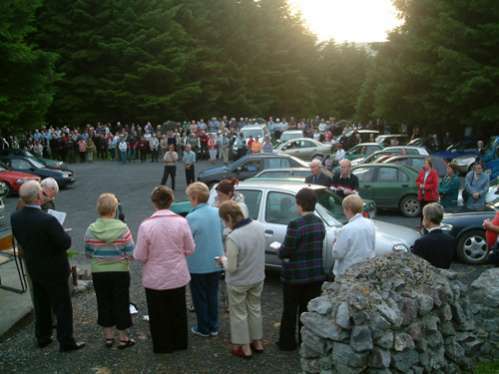 The first Mass at the grotto was celebrated on 24th June 1974 and has been celebrated every year since. 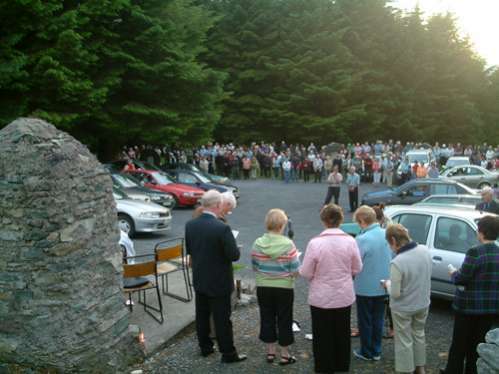 The late Sonny Buckley had great faith in St John’s Well and often spoke of erecting Stations of the Cross in the vicinity of the Well. When he died in 1979, he left £500 in his will towards the erection. Many of the old committee including Sonny Buckley were then dead so a new committee was formed with the task of carrying our Sonny’s wishes. 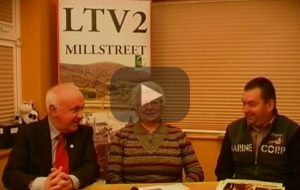 A fund was opened and it would be appropriate at this stage to pay tribute to the very large number of people who subscribed so generously, because without their help it would have been impossible to carry out the job intended. The Forestry Department was very helpful in many ways, indeed we had to have its permission to erect the Stations it the first place! The Stations were designed by Liam Cosgrove of Blackpool in Cork city, but before they could be erected a great deal of work had to be done. First fourteen concrete slabs were made in which the Stations were encased. Then the bulldozer made the ground ready and with limestone from Ballygiblin the work got under way. Voluntary labour again played a very large part with most of the building being done by John Kelleher and Brendan Kelleher. Completing the erection was no easy task because it had to be done in peoples’ spare time, however the stations were completed and all involved felt a great sense of achievement at the result. 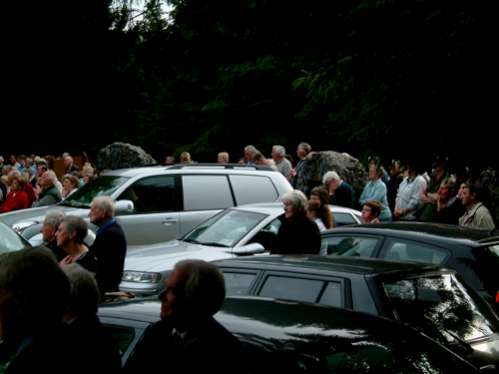 Very many people come to the well throughout the year especially on Sundays. A Faith and Light group visited in 1985 and some of them acted out the Passion and Death of Our Lord. It was a very moving ceremony. Overlooking that lovely sweet Vale of Aubane. Which was blessed by a Saint who lived long ago. For to pray at the Grotto of lovely St John. By night when the rest of the world do sleep. Is the sweet Virgin Mary, our Heavenly Queen. Those three combinations will certainly cure. Of those who will come to this Grotto to pray. From this beautiful Grotto at Mushera More. 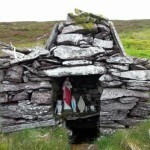 The St. John’s Well on the Ballinagree side of Mushera – photo from June 2012 ( OSI map , Google Maps). To get to it, it is easiest to go to to cross near the top, and follow the path down the south side of the mountain (towards Ballinagree) for a few hundred meters. Hi – I’m hoping to visit the well on top of Mushera Mountain. How would be the best way to approach it? You mention getting to the cross but I’m not sure how you’d get there? 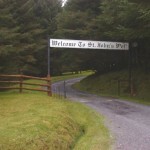 Thank you for the nice comment re my article and looking forward to discover another holy well. Cross the road and follow the fence (and path) straight up to the top of the mountain. Once at the top, the highest point of the mountain (the cairn) is on your left, while the Cross is on your right about 140m to the south of the cairn, and overlooks Ballinagree. Once at the cross, keep going roughly south east down the path for about 250m, and you will get to the well. The link below shows the satellite view on Google Maps of the well.